Maintaining the railings around your house takes a priority. Not only do your railings add to the charm and aesthetic appeal of your home, they are also an integral structural and safety aspect. Maintaining the railings around your house should be quick and hassle-free with these pro tips. Give these steps a glance through and follow them once every 6 – 12 months for that perfect, just-installed look. There are two types of brass railings – the solid brass railings and the brass-plated railings. These two require significantly different approaches to caretaking. All brass tends to oxidize or tarnish fairly quickly. Use warm soapy water and sponge to clean and maintain your brass railings. If the stains are tough, use a stronger variety of soap, like dishwashing soap (No stronger!). Using conventional polish, like Brasso, may work for solid brass. But avoid using polish on plated-brass at all costs. The brass polish will cut through the brass and leave the underlying material (usually steel) exposed. You may use olive oil to lacquer your brass railings and keep them tarnish free. Otherwise, our tried and trusted Metal Polish offers a simple, stress-free solution for a lustrous, lasting shine. Not unlike brass, stainless steel comes in two varieties too – polished and satin. Although stainless steel is largely corrosion-proof, some unsightly marks and stains may retard the appearance. Use distilled water to clean away the white marks on steel railings. And pat down with a soft cloth or newspaper for a clean appearance. Alternatively, you may use polishing cleansers to remove tougher marks and stains. Oil and grease stains may require the use of solvents, such as acetone or alcohol wipes. Or do try our favorite Metal Polish offering for polished steel, that works just as well on brass! It is a good idea to always use gloves and protect your hands while applying the polish or solvents to your railings. Also, test the application on a small and hidden portion of the railing before applying fully. This is to ensure that the solvent is safe to use and does not harm the material of the railing. Aluminum railings are hardy and naturally lustrous. They require virtually no upkeep. Use soapy water and a soft cloth to rinse away any dust stains on your railings. Hosing down the railings with a power-hose may be a good alternative. Always dab away the extra moisture with a soft cloth and leave it to air-dry. Railings around coastal areas may be exposed to an accumulation of abrasive salts. Similarly, railings installed on a high-rise balcony may be subject to bird droppings and dust. In such cases using an appropriate solvent or cleanser may do the trick. You can lacquer your aluminum railings using a coat of car wax or floor wax. This will make maintaining your railings an easier chore, especially when they are constantly exposed to the elements. Clear glass railings are commonplace around pools, where they provide safety, and on balconies of high-rise buildings, where they allow a stunning 360 degrees view of your surrounds. In these places specifically, glass railings are often blemished with spots of hard-water, or dirt and grime. Wipe down all glass railings with warm soapy water and sponge. You may use a powerful window cleaner or even vinegar to remove the tougher marks. Use an old newspaper or rag to dispel the extra moisture. Window wipes will help you get every last drop. Coat your glass railings with a fine layer of pure lemon oil. This will keep the stains away for longer and give you a dazzling see-through look! 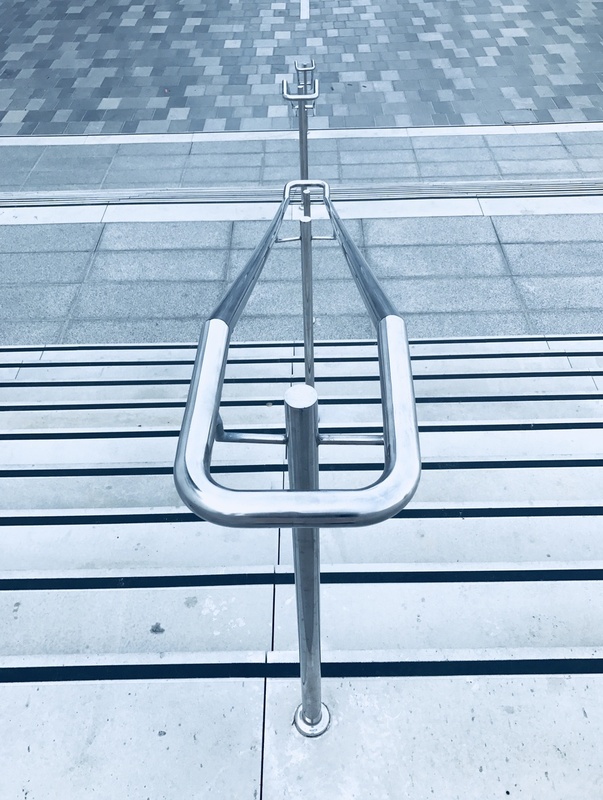 Many-a-times railings are powder-coated to ensure that the underlying materials are safeguarded, making these railings tough, corrosion-free and highly durable. Use soapy water and sponge to clean your powder-coated railings. Ensure that the soap/detergent that you use does not contain chemicals that can damage the coating. If the application is mild, that is, it does not hurt your skin when you touch it, it is most likely usable. Test the application in an inconspicuous area of your railing and observe before spreading completely. All the care that your PVC railings will ever require is a hose-down or a gentle cleaning with water and sponge. Doing this once a year is sufficient to keep the dirt and grime from settling on your railings. There are a few other things we need to keep in mind while maintaining our railings. For example, the fasteners and brackets that keep the panels in place require regular upkeep. We need to ensure that our railings are not wobbly or skewed and that all screws are tightened regularly. We can apply car wax or floor wax to exposed fasteners. This reduces their susceptibility to corrosion. The base mountings that support the structure of the railings should be checked too. Any civil issues that may make the mountings, and in turn the railings themselves unsafe, should be fixed at the earliest possible. Wooden railings may require to be checked for termites. Similarly, mold infestations when left unchecked may make entire areas unsafe. Minor scratches and scuffs on metal railings can be fixed with a gentle buffing using non-abrasive products.